Following a meeting of the board of directors earlier today, Renault’s board has decided to keep Carlos Ghosn on as Chairman and CEO of the company until further notice, following Ghosn’s arrest for alleged financial misconduct at Nissan earlier this week. ﻿At this stage, the Board is unable to comment on the evidence seemingly gathered against Mr. Ghosn by Nissan and the Japanese judicial authorities. Mr. Ghosn, temporarily incapacitated, remains Chairman and Chief Executive Officer. The Board of Directors resolved to appoint Mr. Thierry Bolloré on a temporary basis as Deputy Chief Executive Officer. 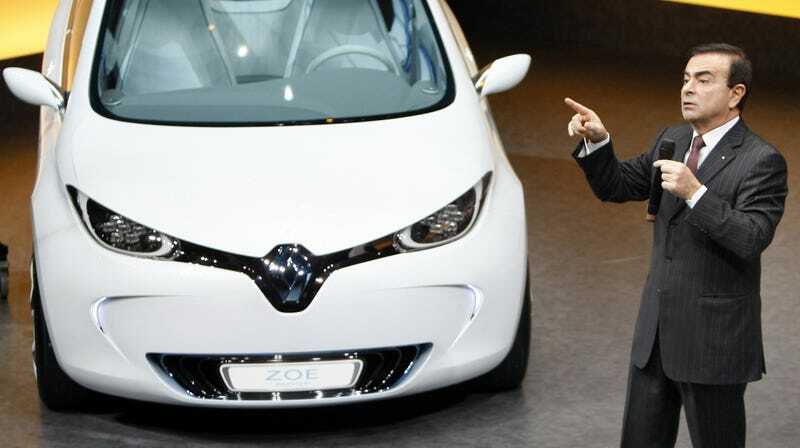 Mr. Bolloré will therefore lead the management team of the Group, having the same powers as Mr. Carlos Ghosn. During this period, the Board will meet on a regular basis under the chairmanship of the lead independent director to protect the interests of Renault and the sustainability of the Alliance. Bruno Le Maire said he was “no longer in a position” to lead the carmaker in which the French state has a 15% stake. The minister hinted that directors could ask Renault chief operating officer Thierry Bollore to step up. The Financial Times previously reported that the French Government was considering selling its 15 percent stake in Renault following the accusations and arrest of Chairman Ghosn. To recap, Carlos Ghosn is the Chairman and CEO of Renault and Chairman of Mitsubishi, which is part of a decades-long partnership with Nissan, where Ghosn was formerly the CEO and then just Chairman until this week. Yesterday, Ghosn was arrested after an internal investigation into financial misconduct within Nissan became a police investigation, with Nissan’s current CEO, Hiroto Saikawa, claiming Ghosn abused his position and “used the company assets for personal use” and underreported his compensation during his tenure. While official charges had to be filed for Ghosn to be arrested in Japan, the case will still go to court for a final verdict of guilty or not guilty. Renault said in its statement that the board had elected to begin “transitional governance measures,” suggesting Ghosn’s leadership could still only be temporary, and has requested all of the information collected in Nissan’s internal investigation.